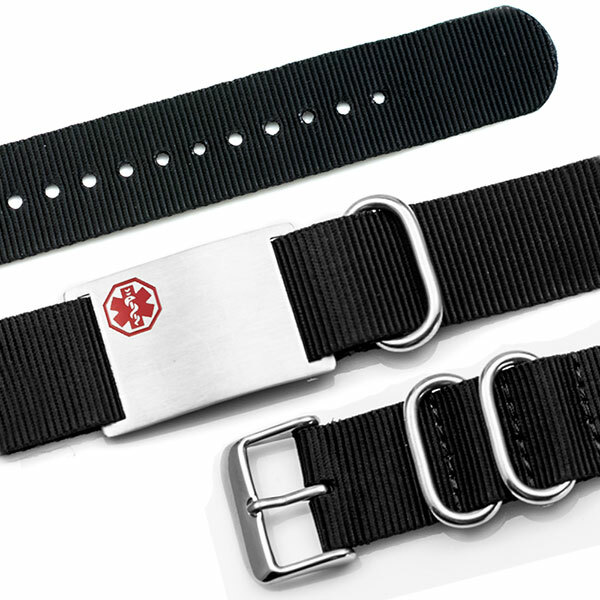 This adjustable nylon watch band is a lightweight, every day bracelet that will ensure both your safety and your comfort. 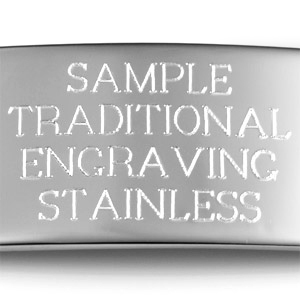 The stainless steel engraveable plate and and closure make this bracelet fine for wear in water and extremely resistant to tarnish. 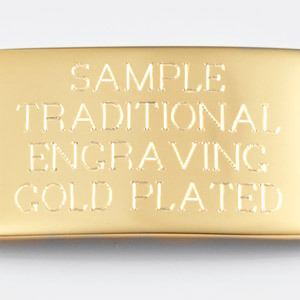 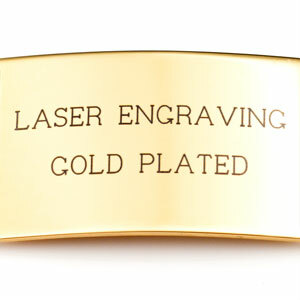 Engraving goes on the front of the plate; accommodates up to 4 lines with 15 characters on each line. 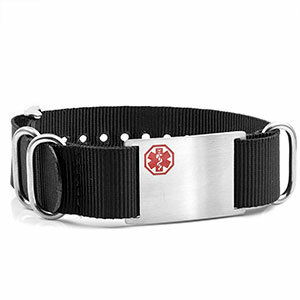 Bracelet Material: Nylon. 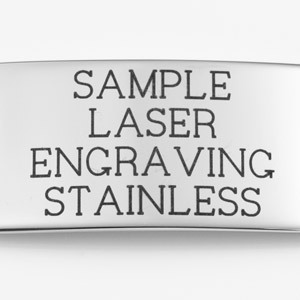 Plate Material: Stainless Steel. 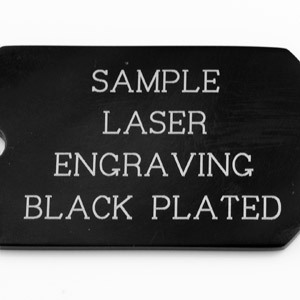 Plate Measurements: L 1.4" X H .8"